Helping Small Businesses “Ink” the Deal | Collaborative Intel Agency, Inc. Although we work with international corporations and create global marketing campaigns, at the end of the day Creative Intelligence Agency is a small business. So we know all too well the needs of companies like ours. The unique challenges small businesses face. The many hats small-business owners must wear. And how delicate a balancing act it can be when it comes to managing finances. So it was with this intimate knowledge that we approached a new project assigned to us by JPMorgan Chase: To help launch Ink, a brand of credit cards designed specifically for small business owners. 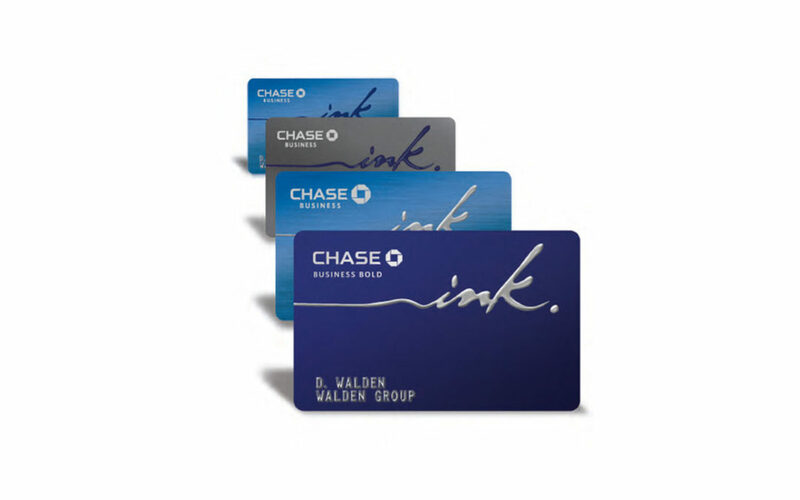 We knew that the biggest challenge would be competing with business-card leader American Express. So we carefully examined and thoroughly marketed every benefit that Ink had over Amex. Turns out, there were many. We created unique product positions for all Ink card products, then developed creative that generated awareness, attracted new cardmembers, and retained them. The client couldn’t have been more pleased. After the launch, we were again called upon to strategize ways to capture a larger share from competitive cards. Using special promotions and educating our target on how to maximize card benefits, we won them over.